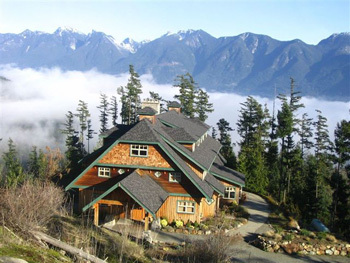 I have just returned from four nights of retreat at Rivendell Retreat Center on Bowen Island. Talk about an incredible space – well-organized, welcoming, clean, warm, supportive and quiet – which is everything that one wants a place of respite to be. While there I meditated, walked, and wrote my final paper for my semester – which turned out to be a series of short reflective pieces on the nature of spiritual enlightenment and practice (as I understand, accept and/or reject them). Once I polish those pieces and hand them in I will be posting them here – starting next week, there should be about ten days of material for the blog. Who knew that all I had to do in order to write was lock myself up for a few days with no other people? The fact that I did barely any talking during that period meant that everything I wanted to say had to go down on paper! 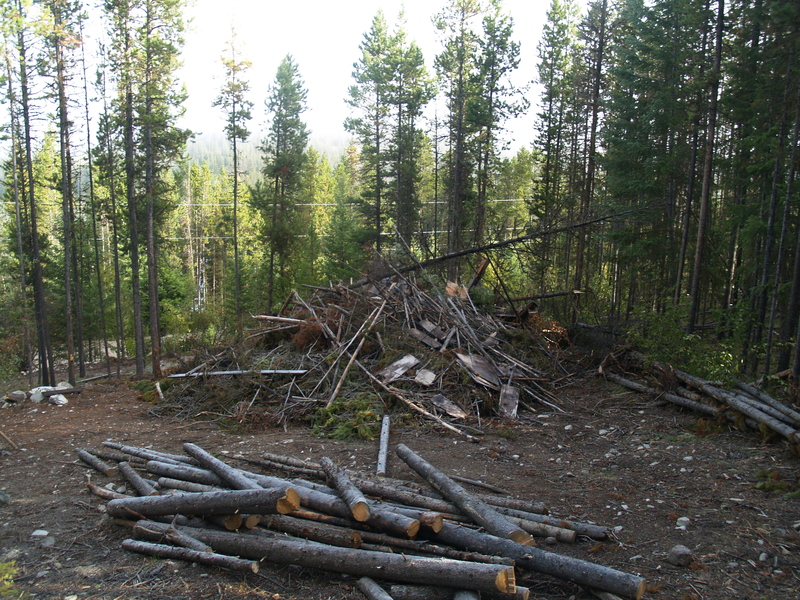 There is a whole cabin in pieces under that pile of wood…… and the whole thing will be covered in snow by now as well. But at least we are turning it into a party! I think there are about twelve people going at this point – plus the volunteer fire department showing up. I’m leaving all the logistics of the burning to our land partners and just thinking that I should cook up a large batch of baked beans to take with us on Saturday morning….. I bought a single-burner propane stove for large pots this summer which we can take along to heat it up. This is where I am and where I’m going right now, feeling pretty relaxed in the present and looking forward to a big fire in my near future!